Whether it was your teen’s first true love or just a summer fling, the end of a relationship can be difficult for a teenager just learning how to deal with heartbreak. One minute, they're flying high on the wings of puppy love, and the next thing they're crashed into the sea of heartache. 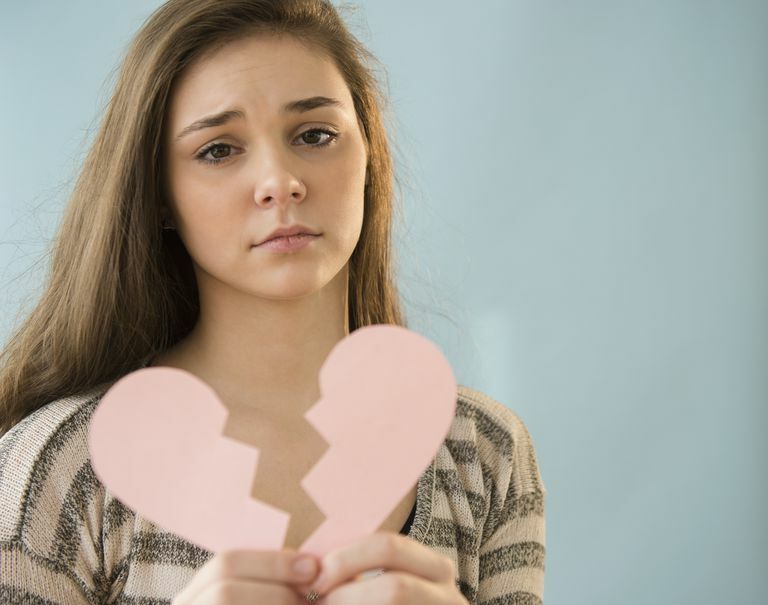 Fortunately, you can use a breakup as an opportunity to teach your teen how to deal with pain, rejection, disappointment, and the other flurry of emotions that often accompany the end of a relationship. Of course, you also want to avoid the things that could make your teen feel even worse. Resist the urge to minimize your child’s emotions; just because you didn’t think the relationship would last forever doesn’t mean that your teenager didn’t feel strongly about their former significant other. While it’s unlikely that they would have lived happily ever after, your teen perhaps thought that they would. You might think that if you have a son, the dramatics will be less —that’s not always the case. A young man can be just as hurt by a breakup as a woman (or worse, depending on the personality of the teenager. Remember, first love is different than other types—your teen might have truly thought that this was the one and only person for him. Instead of assuming that gender plays a role in recovering from a broken heart, expect that your child will need you more than usual during this difficult transition and make yourself available whenever possible. Just because your teen decided to initiate the breakup doesn’t mean they won’t be upset about it, and that sadness will only magnify if they weren’t the one to make the choice to end the relationship. Whichever way the breakup happened, stand behind your child. Don’t try to talk them out of the breakup if you happened to like their significant other. And don’t suggest they made the wrong choice. There are mistakes you should let your teen make, so even if you think it’s a bad idea to end the relationship, let that be your teen’s choice. As a grownup, you have perspective that life goes on after a relationship ends, but your teen doesn’t have the benefit of that hindsight. Instead, inspire hope for the future so they'll know they won’t feel this way forever, but at the same time, don’t encourage them to escape their uncomfortable emotions. The grieving process is what will help them heal. Encourage them to open up to you, but know that it’s normal if a teen isn’t willing to talk to their parents about their love life. So, also encourage them to invite friends over and talk to whomever they feel comfortable sharing thoughts with. In the age of social media, teens rush to update their relationship status and share details about their lives. Have a conversation with your teen about taking a technology time-out in the days (or maybe weeks) after the breakup, so they don't post any updates they’ll regret. In particular, warn them about badmouthing exes or posting private details of the breakup or anything personal that was shared during the relationship. A teenager often lacks the maturity to understand how to respectfully handle a breakup, so they’ll need you to guide them in making the right decisions regarding public information about the relationship (and its demise). There’s nothing like creating a distraction when you don’t want your child to think about what’s plaguing them. Take them out for a day on the town. You could see a movie, get a mani-pedi, do some shopping, or go to a baseball game. Think about what your teen’s favorite things to do are, and then schedule them throughout the day. Not only does it get the teen away from social media, but it also reminds the teen that life is pretty great, even without a boyfriend or girlfriend. After your teen has had a few days to wallow, encourage them to get back into a regular daily routine. Fun days out can distract, but so can homework, chores, family outings, and sports practices. You might need to make a few alterations like a romantic comedy on movie night could send your heartbroken teen over the edge, but it’s generally a good idea to keep life as normal as possible. After the first few days of dramatics, crying and angry breakup music, things should calm down—until your teen has a bad day again. Your teen will probably go through phases of feeling OK about the end of the relationship to once again being devastated about the breakup. Don’t be surprised if they go through a few of these phases before their mood levels out for good. You might not always be the best person to help your teen deal with a bad breakup. Sometimes, you need to get a health care provider involved, particularly if they've been moping for more than two weeks or are showing signs that this breakup is affecting them more than normal. If you notice signs of depression, eating problems, or sleeping too much or too little, it might be time to reach out to a professional. Ask for a referral to a mental health professional who deals specifically in adolescent therapy and make an appointment. During this whole process, remember to keep one thing in mind: it’s not your breakup. While you might have adored your teen’s former boyfriend or girlfriend—or perhaps you despised the person—try to keep your personal feelings out of it as much as possible. Teen love is a rocky road, and you don’t want to be caught in a tricky spot if the two reconcile down the path.